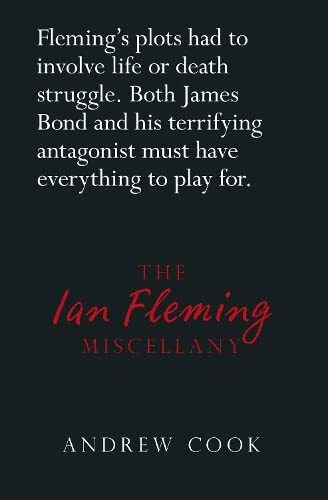 The name Ian Fleming is synonymous with British espionage, both with his work as a naval intelligence officer in the Second World War as well as with his creation of the most famous fictional spy in literary history: James Bond. The name Ian Fleming is synonymous with British espionage, both with his work as a naval intelligence officer in the Second World War as well as with his creation of the most famous fictional spy in literary history: James Bond. This book centres on Ian Fleming the man, his contradictions and his public and private personality. It examines the person behind the myth and how in particular he managed (unsuccessfully at first) to create a film franchise that has lasted over fifty years. It considers Fleming's reputation as a writer, the `formula method' he perfected and that formula's reliance on the recycling of real individuals and events, as well as the occasional reliance on plagiarism. It uniquely accesses a number of recently opened government files that shed light on previously unknown wartime operations, such as the Air Ministry's top secret `Operation Grand Slam', which was used in Goldfinger.